Each year, 16,500 Penn State students come together with one dream: defeat childhood cancer. THON is the largest student run philanthropy in the world, and has raised over 157 million dollars for childhood cancer treatment and research at Penn State Children’s Hospital. THON is a yearlong effort that culminates in a 46 hour no-sitting, no-sleeping dance marathon each February. The funds raised by THON ensure no family at Penn State Children’s Hospital will see a bill for their child’s treatment, and also finances critical research in pursuit of a cure. Springfield benefiting THON is an organization of 200 dedicated students committed to fighting this horrible disease. 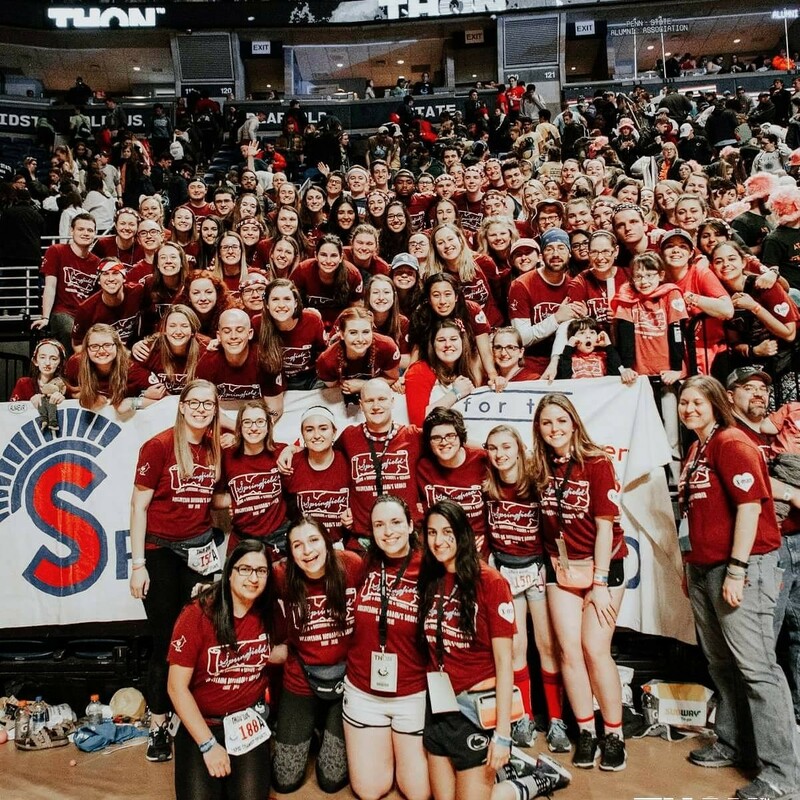 In addition to our fundraising efforts, Springfield supports four families through their cancer journeys: the Colons, the Robertsons, the Schopfs, and the Silbaughs. From cheering our families on at soccer and baseball games to standing alongside them during hospital stays, Springfield provides emotional support to our four “adopted” families. They continually inspire us with their courage and strength, and they fuel our passion in the fight for a future where crushing fear does not strike a parent’s heart when they hear the words “your child has cancer”. Our dream is for kids to grow up and chase their own. We see the incredible impacts of THON’s efforts through our families and we hope you will choose to join our fight.